This post was written by guest author Samantha Casey. The word “image” circulates around the planet like a breath of air, clinging to each of us, and illustrating to the world who we feel we are. Without consideration towards our image, the opportunities in business we desire will breeze right past us, zooming in on those who have created an image of integrity, class, and respect. Clients come to me at times and question why they are not generating any new business. They are extremely knowledgeable in their fields, have a great product/service, and are using strong marketing strategies. Many times, I find they are just simply missing key points to presenting a reputable image, and through my consulting work we work to help them fine tune those areas of opportunity. Online presence – With the internet providing mainstream communication, it is a place to boost your image and to lay a foundation which identifies you as professional, poised, and full of integrity. Create a profile within your networking sites that will outline your area of expertise. List your skills, talents, and specific focus. Look at your website background. Is it clean? What message does it deliver? What message do you want to deliver? Be careful with photos. Photos instantly create a label. Sure, it would feel great if people knew the real you, but they are going off of what they see online, especially at first glance. For example, if you want to be viewed as professional, do not post photos which are extremely revealing or incredibly casual. Even if you are in a profession where you are promoting your appearance, you can post photos which highlight your best features and still represent you as respectable. Wardrobe – We are judged on our wardrobe, whether we realize it or not. Have you ever walked into a business meeting and noticed a young woman in an extremely low cut blouse and short skirt or, a young man in jeans, sneakers, and a tee shirt? Or, how about when going to the grocery store you see someone walking around in their pajamas? What were your initial thoughts? As much as we all want to be respected for who we are inside, our image is our personal billboard. So, how we dress indicates how others portray us. Of course, we dress to occasion. When attending an event we may be in semi-formal attire, and when meeting friends for lunch, we may be in casual attire. Yet, in business scenarios, professional attire commands a respect. It says to the world that we are composed and polished. So, take a look at your wardrobe. Does it tell the story that you want? Does it appear misleading in any way? Is it too revealing, too casual, too formal? Language – How we speak, write, and communicate also labels us. If you are the CEO of your company, and are tweeting something along the lines of, “Dats coo, hit me up later,” what do you feel your audience perceives? Or, if promoting your material and the headline says, “Nu Muzik!” what are you telling readers about you? This is a critical point to consider. Many times we don’t even think twice about what we say, we just want to get the word out. Just remember, how you communicate is up to you. How others perceive you is also up to you. If you want to be viewed as intelligent, your communication needs to follow suit. If you want to be viewed as an Executive, your communication needs to follow suit. Think carefully about what you are saying, writing, or texting before you deliver. Overall Conduct – Whether at an event, online, or in a meeting, conduct represents your image. Too often we don’t think about this in detail. It can help our image or harm it. For example, when we’re online in social networking sites, we have every opportunity to empower our image. If we are sharing personal information, we need to be aware of what we’re saying, and decide if it’s appropriate for the world to see. Remember, the Internet is the World Wide Web and everyone is watching. If we’re at an event and we are networking, yet are drinking in excess and are not thinking clearly, this will impact how others perceive us in such situations. If we are scheduled for a meeting, yet show up 20 minutes late, are dressed casually, and are unprepared, those meeting with us are casting judgment. Thus, overall conduct reflects every aspect of our image. Another aspect of conduct is how we respect others. As a professional, you have the opportunity to engage with people of many backgrounds, walks of life, and experiences. If you are shunning someone because they are not famous, or because they are not as educated as you are, or because they are male and you only want to do business with women, this will affect your overall image in ways that you may have not considered. For example, if you are a consultant seeking to assist others, yet are speaking of others negatively, what does this say about your business? If you are a doctor, yet are not fully reviewing your patients’ charts and looking for every possible way to help them, what does this say about your practice? Consider respecting all walks of life, even if they are not pertinent to what you are looking to do. You never know who knows who, and the one person that you’d least expect to be relevant to your business, could be the one person who holds the key to you opening new doors of opportunity. Your Image is Your Personal Billboard. 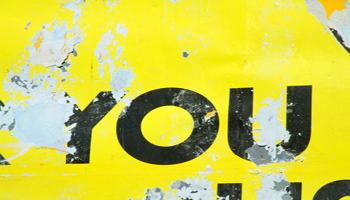 You deserve to be appreciated for the professional you are, so make your billboard shine! The world awaits!